"Fishing boat in Krishna river" by Mity05 (via Wikimedia Commons) is licensed under the Creative Commons Attribution-Share Alike 4.0 International license. Water resources play a crucial role in India’s economic growth, as a large portion of India’s GDP is dependent on the agriculture and allied sectors. Thus, continuous monitoring of water resources in India is of prime importance to meet irrigational needs besides sustaining demands of hydropower generation, industrial growth, and rural and urban sanitation. As traditional gauge-based observations fall short in many aspects for monitoring various water resources, scientists are now looking for smarter alternatives. Satellite remote sensing provides a dependable platform for such observation and monitoring as it provides global coverage at regular time intervals. The Gravity Recovery and Climate Experiment (GRACE) satellite mission, launched in March 2002 as a collaborative effort of the US and Germany, has monitored global water resources, providing observations every month. The GRACE satellites act as a weighing balance in the sky, measuring changes in surface and groundwater storages. The GRACE data now available for a period of about 15 years have shown that a rampant depletion in groundwater is occurring in several parts of the world, with large depletions observed in California, USA, and the northern parts of India. Such depletions are mostly attributed to extensive pumping of groundwater to meet the water needs of the local population. Interestingly, the GRACE satellites showed increasing groundwater in parts of peninsular India in this period. However, the surface water resources in these areas, which are the largest within India, were not yet investigated. Our research investigated the surface water resources in parts of peninsular India exhibiting an increase in groundwater and tried to find the cause of its changes. In our study we assessed two parameters; the first was Surface Soil Moisture (SSM), the water present in soils which is utilized by plants, and the other was Surface Water Extent (SWE), the area of land covered by water bodies such as ponds, lakes, and rivers, as well as flood inundated areas. Gauge-based measurements or observations derived from field surveys for SSM and SWE were limited in space and time for the regions of our interest. Consequently, we turned to satellite remote sensing-based observations to derive these two parameters, which are indicators of surface water storages. Data for SSM was derived from the Advanced Microwave Scanning Radiometer for Earth Observing System (AMSR-E) sensor developed by Japan onboard the National Aeronautics and Space Administration’s (NASA’s) Terra and Aqua satellites. This sensor is a radiometer which records the microwave radiation reflected from the Earth’s surface to infer SSM. The SWE was derived using the reflectance data obtained from NASA’s Moderate Resolution Imaging Spectroradiometer (MODIS) sensor also onboard the Terra and Aqua satellites. Monthly values of SSM and SWE thus deduced, they were utilized to identify trends in surface water, and the respective trend magnitudes were also calculated using advanced statistical techniques. 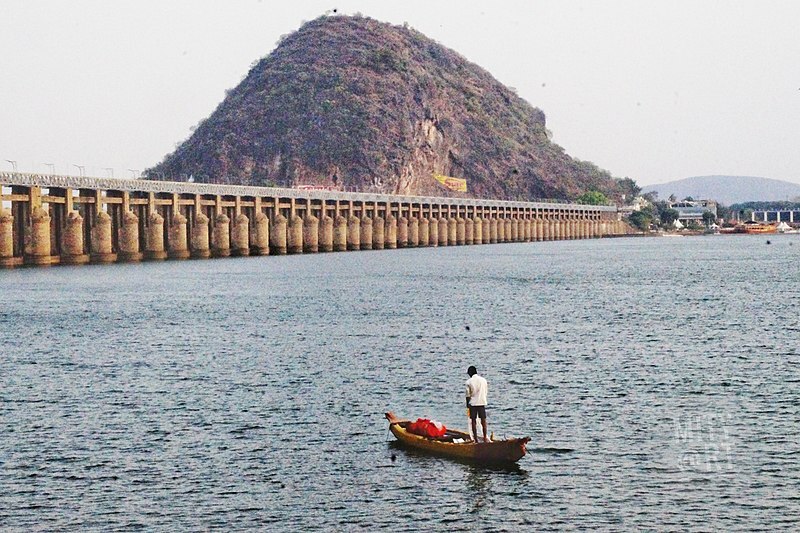 The investigation was carried out in areas exhibiting a rise in groundwater along with other areas within the Godavari and Krishna river basins, the two largest river basins of peninsular India. A total of four separate study regions were outlined for investigation, of which two regions exhibited a significant rise in groundwater, situated in the west-central and south-eastern parts of India. Increasing trends in SSM and SWE were observed for all four study regions. It was hypothesized that local rainfall was the major cause of such rise and statistical tests were conducted to check the hypotheses. However, it was found that an increase in SSM and SWE could be attributed to interannual variability in local rainfall only for the regions exhibiting groundwater increase. Finally, we concluded that rainfall is the main driver of surface water storage in these areas and the trends observed are possibly the indication of recovery from a major drought that hugely affected these regions in the year 2002. Although the state of water resources appears to be congenial in peninsular India, we point out the vulnerability of the region to susceptible changes in rainfall. These findings are described in the article entitled Assessment of Surface Water Storage trends for increasing groundwater areas in India, recently published in the Journal of Hydrology. This work was conducted by Chandan Banerjee and D. Nagesh Kumar from the Indian Institute of Science. Chandan Banerjee is a PhD Student at Civil Engineering Department, Indian Institute of Science - Bangalore. Previous Post« Previous Understanding Missing Proteins: Why Should You Care?